The Papertrey Ink anniversary festivities are nearly over and just popping in real quick with yet another Splits: Just A Note project. 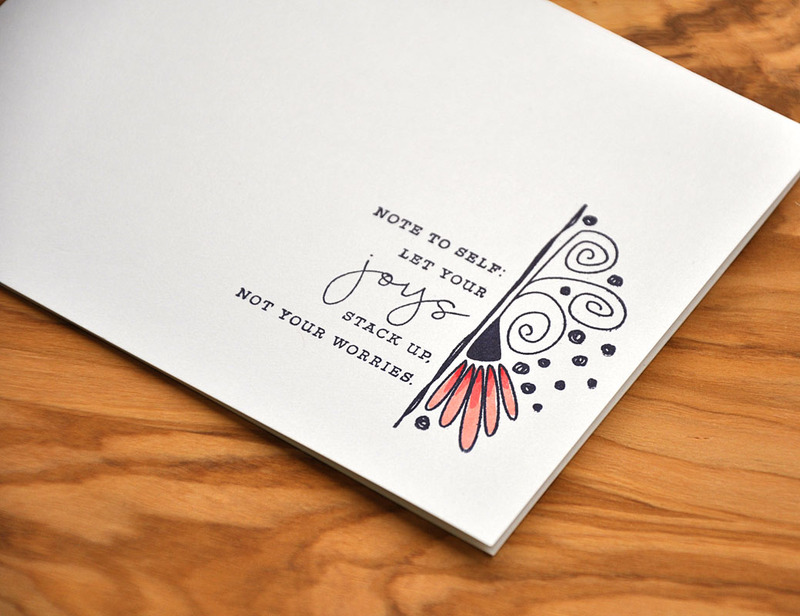 Here I've combined one half of the splits frame with a sentiment from another stamp set (Choose Joy stamp set). It makes my heart happy that this sentiment lines itself up perfectly along the edge of the frame. 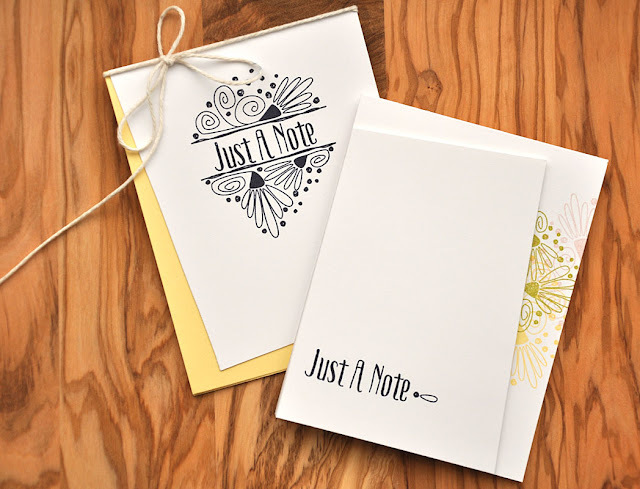 Splits: Just A Note looks great with so many sentiments from other sets! Added a touch of color using my Copic markers. 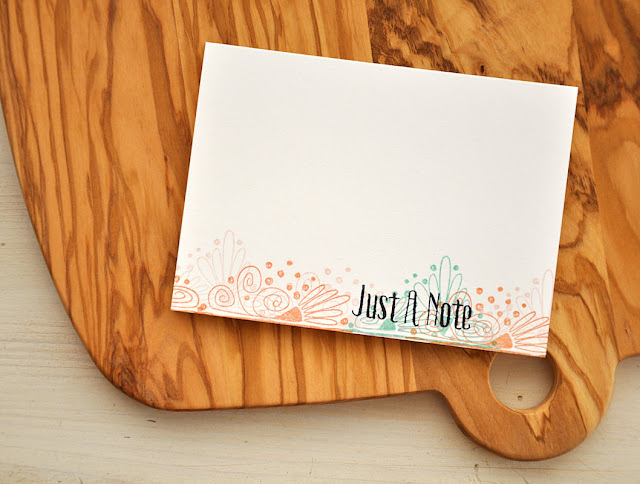 Well, there's another quick look at Splits: Just A Note stamp set for you. Just remember... this stamp set and it's coordinating die will be available for purchase through Papertrey Ink, beginning February 15th. I used my new Splits: Just A Note stamp set to create today's spring card duo. Keeping things simple and sweet is the name of the game for me. This frame is bold enough to stand on its own stamped in black. 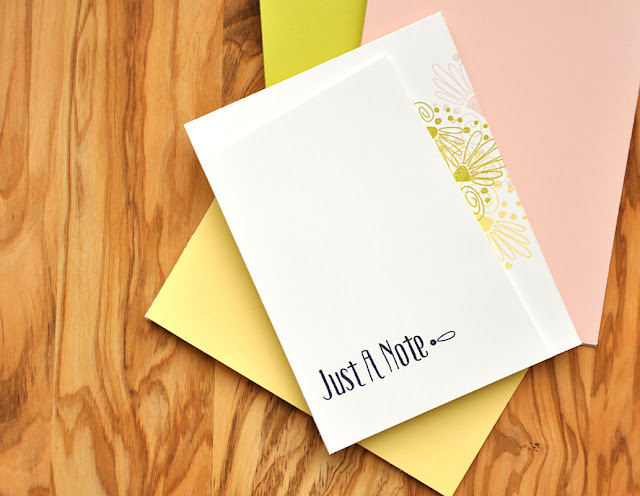 If you chose to you could add a bit of color using markers or watercolor, but I've chosen to add a pop of color with a harvest gold card base. All I did was stamp the card front panel with the splits frame, trimmed off the edges and attached it directly to the card base. Same layout as the card above, but this design uses the stamps to add the pop of color. 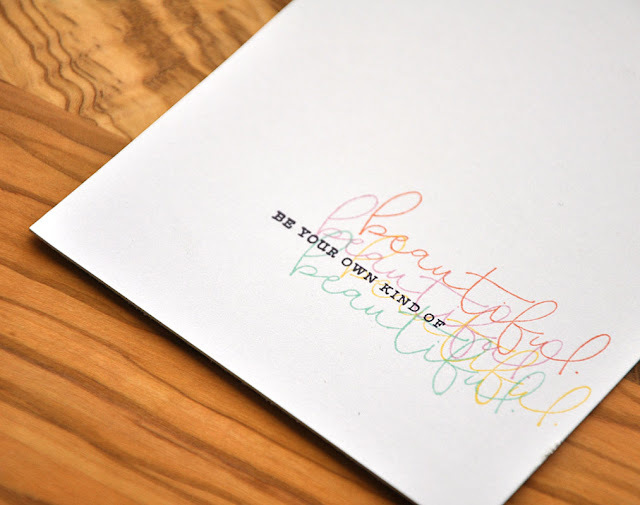 I carefully stamped the splits image along the borders to hide the edges of the stamp image, using a color combo of harvest gold, sweet blush and simply chartreuse. Hi folks! I'm back a couple more samples using the new Splits: Just A Note. This time I did a little thinking out of the box, I put this set to use in other ways. Up first, a beautiful border, created using a combo of both the top and bottom parts of the "split" image. 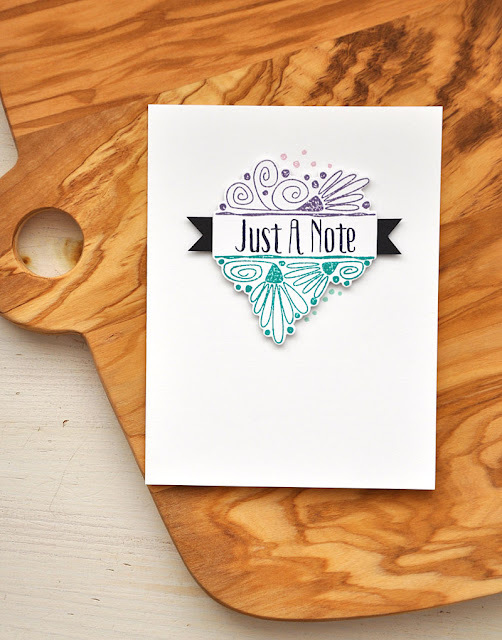 I simply stamped the edge of the stamp along the bottom edge of the card, using a color combo of melon berry, sweet blush and aqua mist. 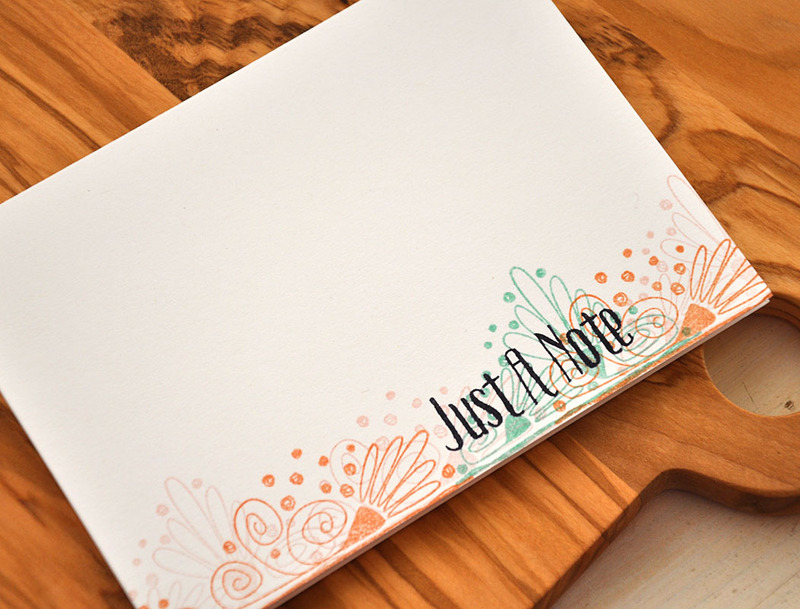 Then finished off the one layer card with the sentiment. This time I used one of the tiny extra image, in the set are two additional images. 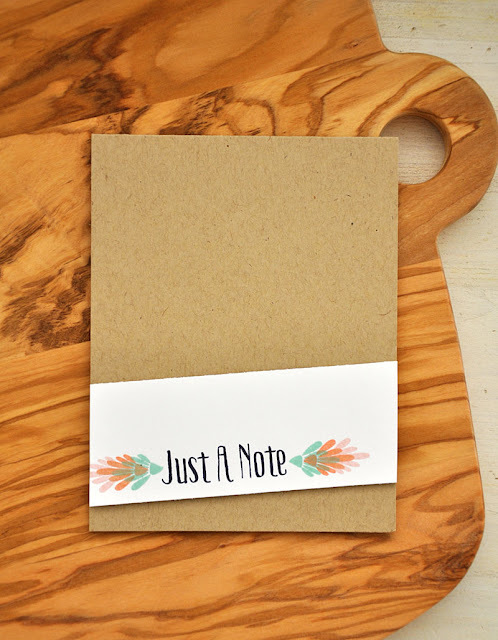 Great for adding the perfect touch to a card or for hand stamping a sweet pattern. 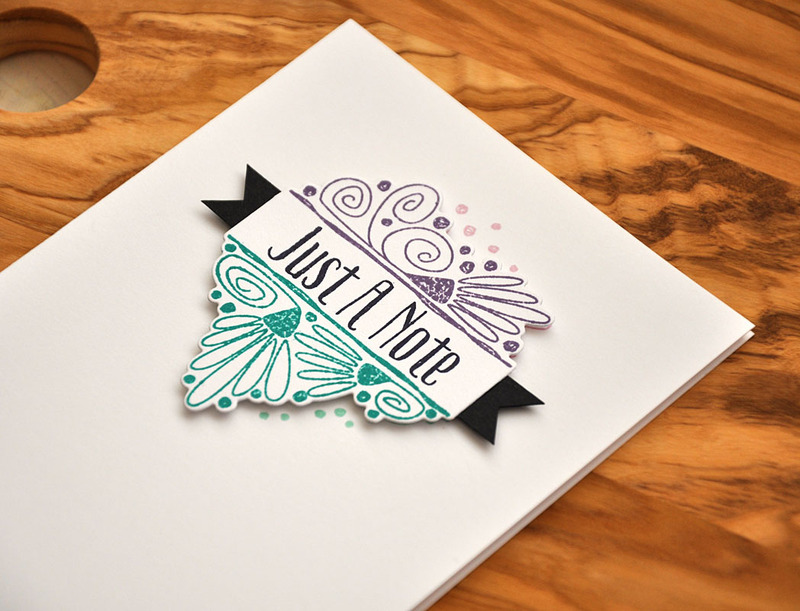 Here I've added them as embellishment to either side of the sentiment in the same color combo as above. Well, there's another quick look at Splits: Just A Note stamp set for you, I thoroughly enjoyed exploring its extra possibilities. I'll be back tomorrow with more! 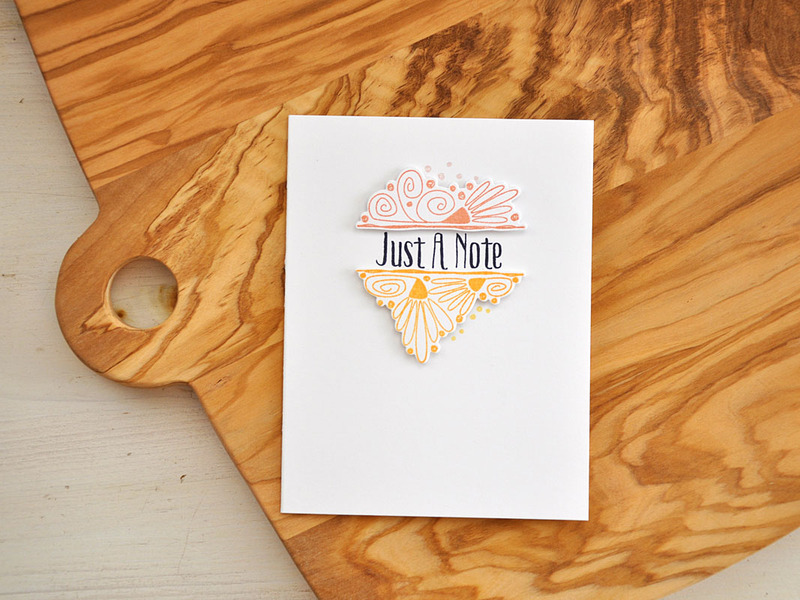 Just remember... this stamp set and it's coordinating die will be available for purchase through Papertrey Ink, beginning February 15th. 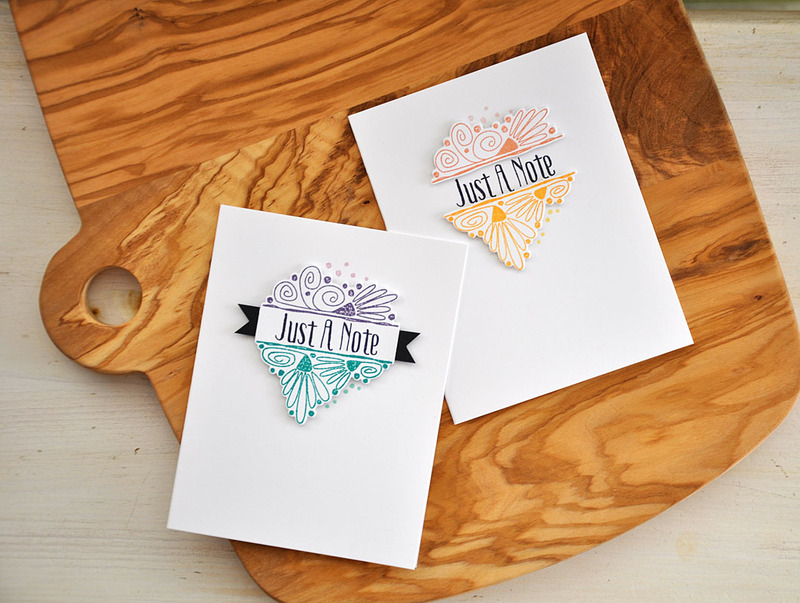 Today I bring you another quick look at the Splits: Just A Note stamp set and I'll introduce you to the coordinating die. Just a quick reminder before I get to business... All of the new products you're getting peeks at this week will be available for purchase at Papertrey Ink beginning on February 15 at 10pm EST. I inked up the Splits image in plum pudding and tropical teal and stamped it onto a die cut. The cool part about this die is that it doesn't cut the entire image out. Take a closer look at the picture above. A few of the dots are left uncut so that when placed directly over a duplicate image (below it, this time stamped in lavender moon and aqua mist inks) part of the dots from underneath show up! Pretty cool, right?! 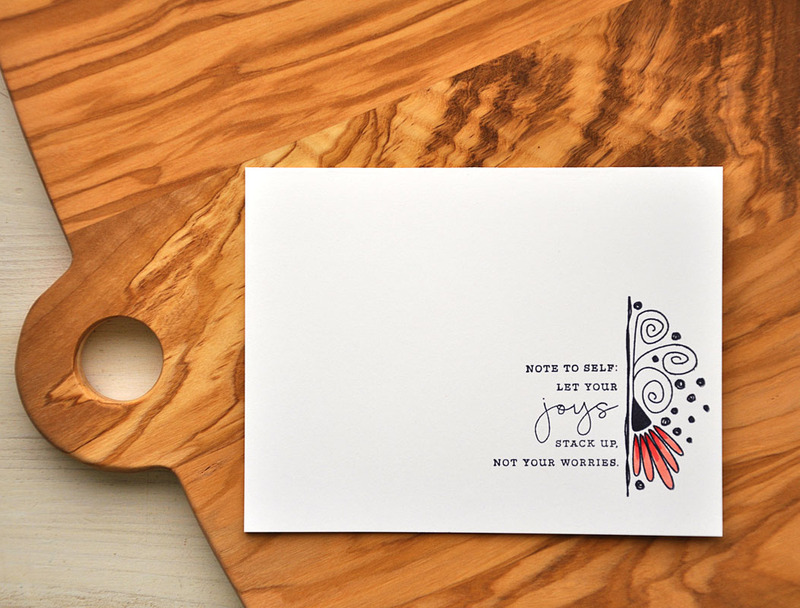 As an extra detail I attached a couple of black card stock notches to either side of the die cut. How about a second take with this useful die?! This time I used the same die layering technique as above with the these colors... melon berry/summer sunrise for the top and sweet blush/harvest gold for below. For even more added dimension, this time I trimmed off the bottom and top portions by hand. 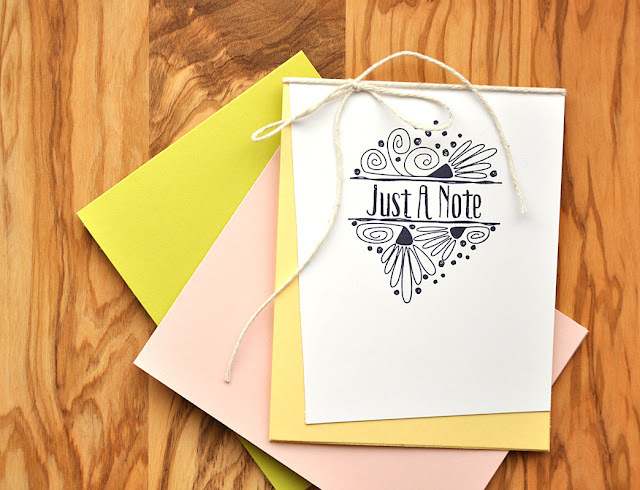 I then attached them with dimensional adhesive above and below the sentiment that was stamped directly onto the card base. 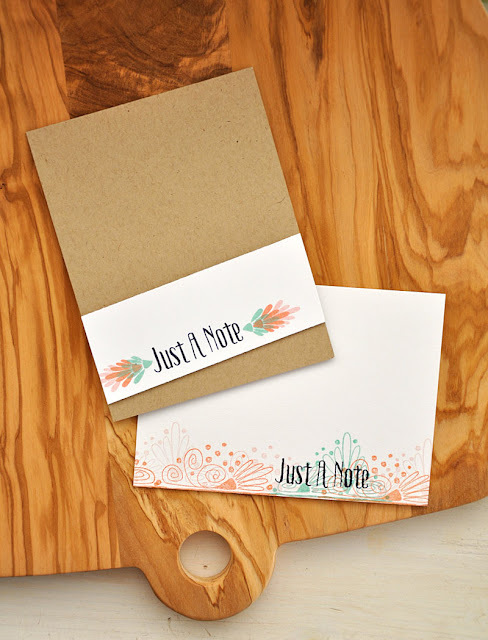 Well, there's another quick look at Splits: Just A Note stamp set and die for you. I'll be back tomorrow with more! Just remember... this stamp set and it's coordinating die will be available for purchase through Papertrey Ink, beginning February 15th. 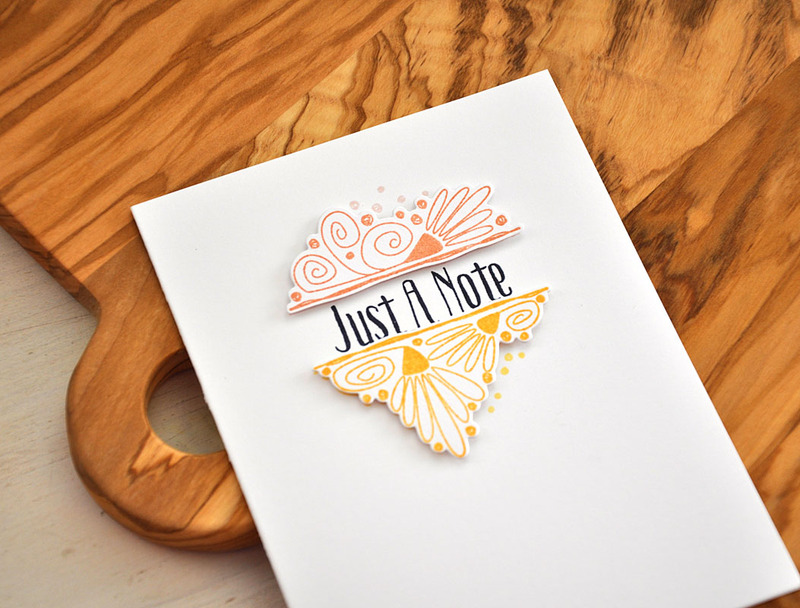 I’m joining in on today’s Papertrey Ink 9th anniversary festivities to bring you a look at a new monthly series, designed by me! This series will feature an image with "split" borders that can be used with the coordinating sentiment, or be interchangeable with sentiments in the future editions. These will have a more casual, sketchy feel to make them unique. 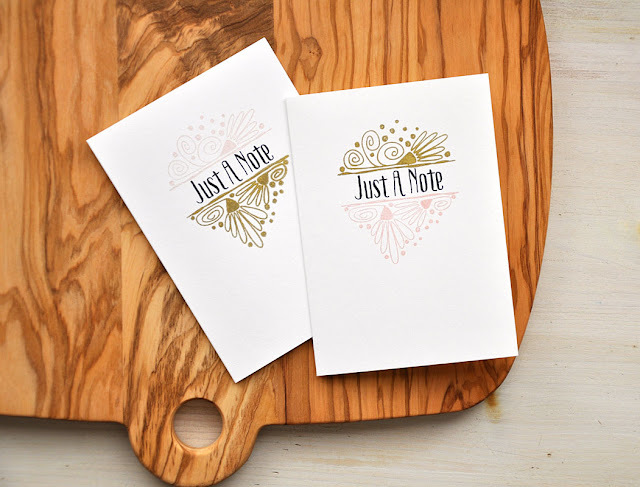 I'm excited to bring you a look at the first in this Stamping Simply series... Splits: Just A Note. This sentiment is a versatile one! 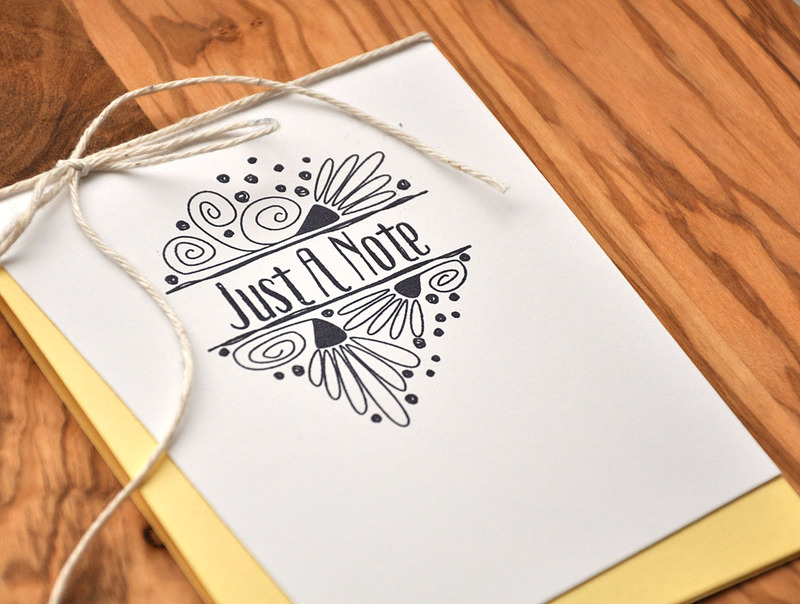 Could easily be used for a number of occasions or a simple "just because". 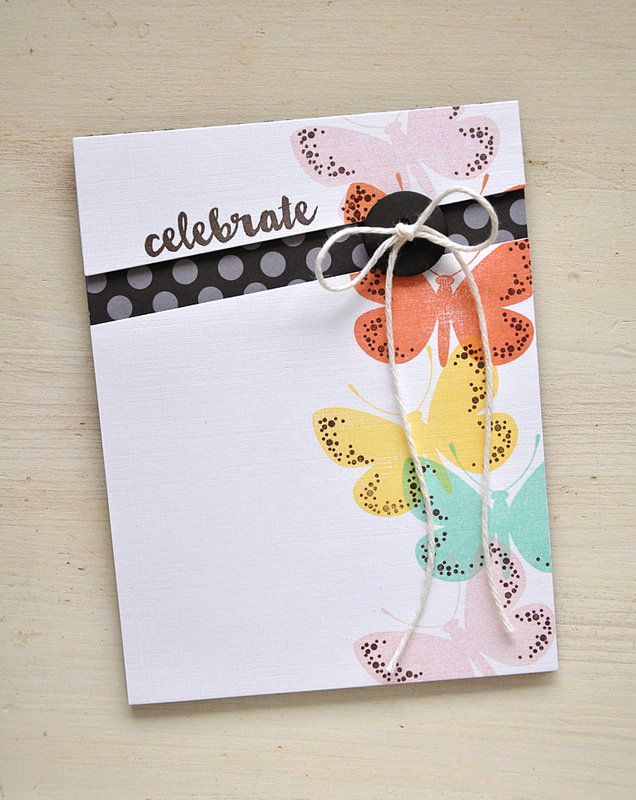 A hand sketched floral trio is the focus of this mini stamp set, it's a fun introduction to this Splits monthly series. The top and bottom portions are one stamp. 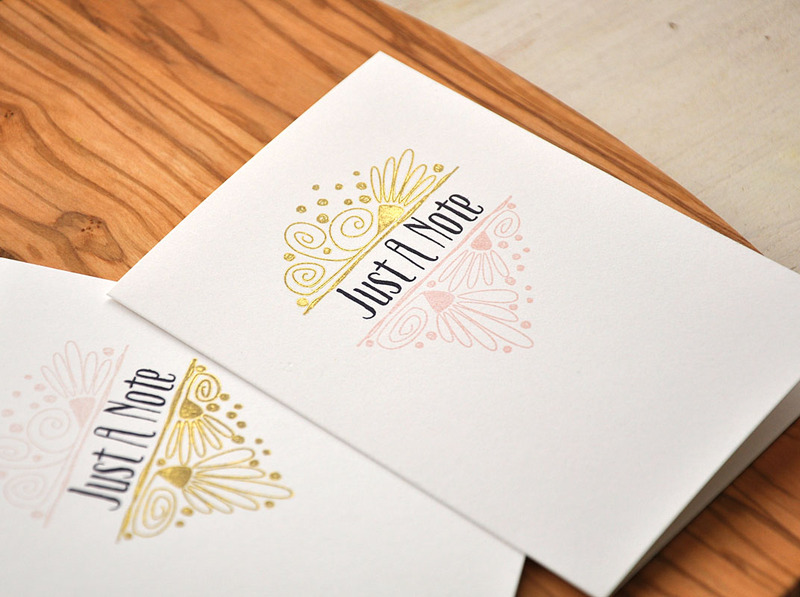 I just inked each part in a different color (sweet blush and gold) creating a two toned look. 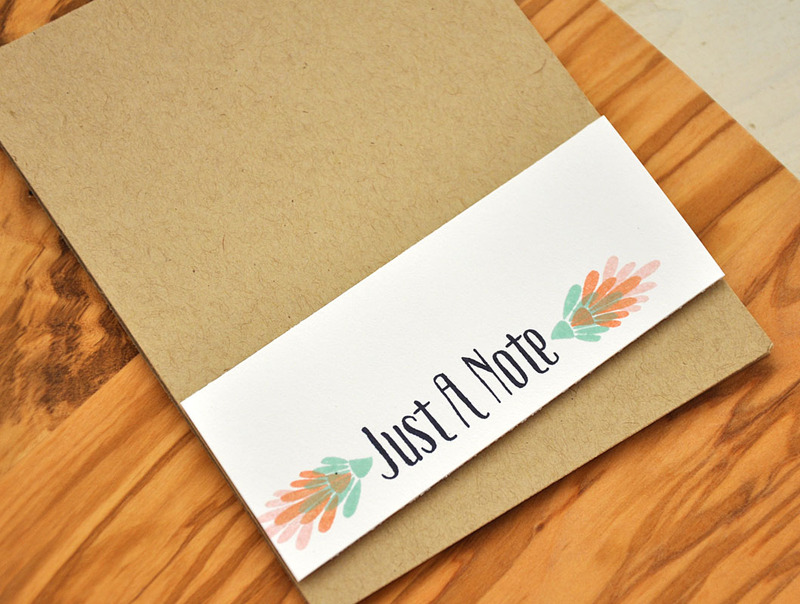 Well, there's a quick look at Splits: Just A Note stamp set for you. I'll be back soon with more and I'll introduce you to the coordinating die too. Just remember... this stamp set and it's coordinating die will be available for purchase through Papertrey Ink, beginning February 15th. 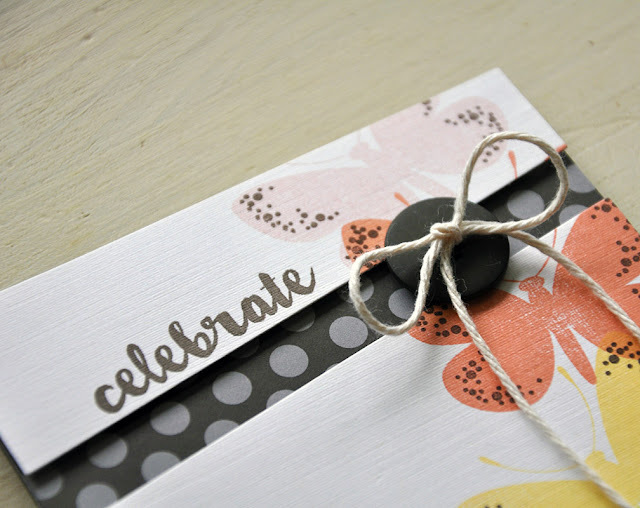 Papertrey Ink Anniversary Day 1! 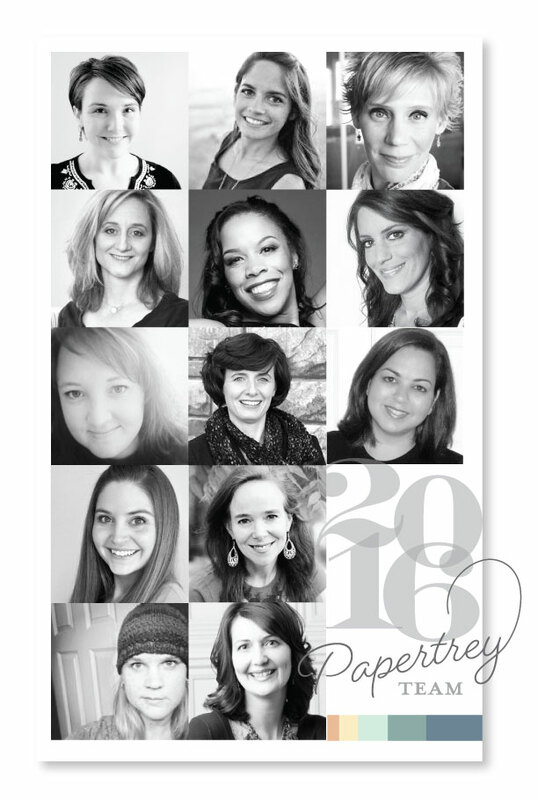 Papertrey Ink is celebrating their 9th anniversary! And it's going to be quite the party! Today kicks off the 10 days of festivities. For me, my six years with this innovative and trend setting company has flown by. It's been an amazing journey! There is a challenge!... 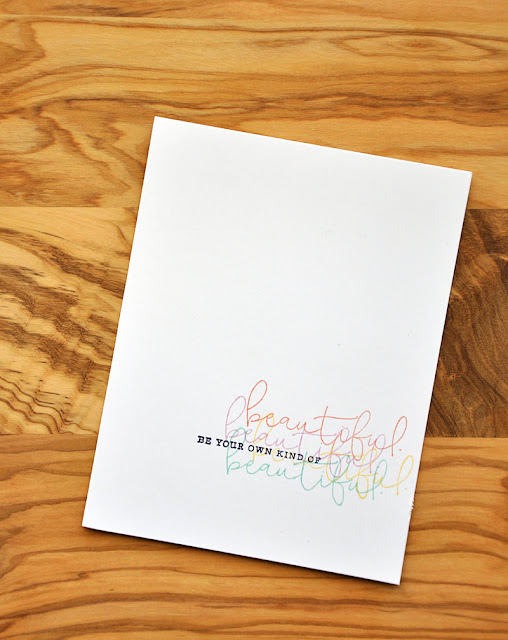 Nichole Heady has a selection of color inspiration cards (based on all of our design team project favorites) that will be available on her blog as a download for all of you. Use these as inspiration to create a card using one of the color combos. The Prize!... 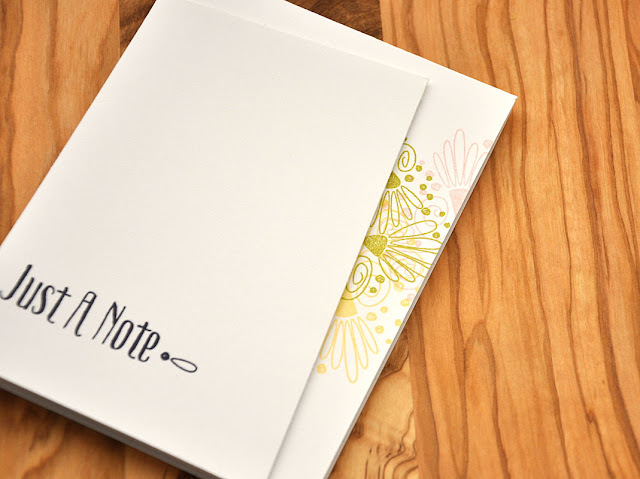 One lucky winner will win their Papertrey Ink wish list (up to a $300 value). Hurry on over and play along! Well, I'm off to enjoy today's festivities. I hope you are too! Be sure to visit the Papertrey Ink blog each day during the countdown. You won't want to miss the celebration, the challenges or the prizes!